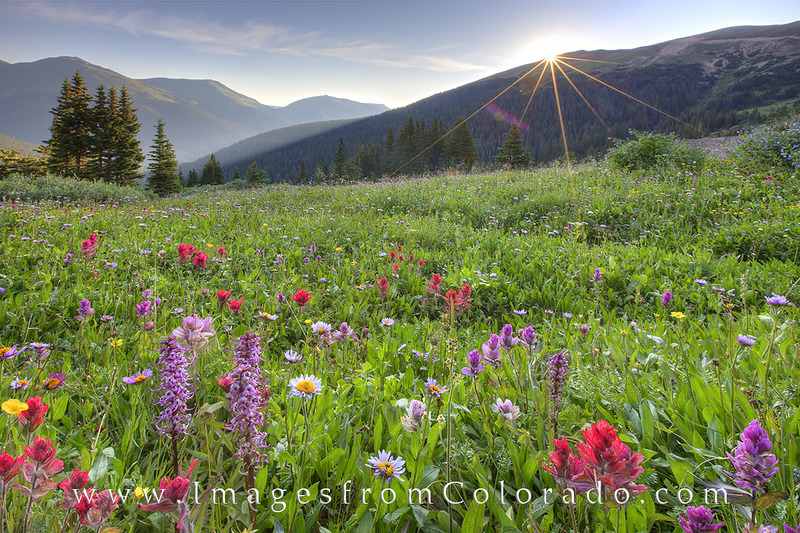 Paintbursh, daisies, elephant tusks, and many other colorful Colorado wildflowers adorned the meadow near the top of Butler Gulch. The sunlight was a welcome addition to the morning air as it was cold on the July morning, but the vibrance of summer blooms made the 2 mile trek in the dark to this point well worth the effort. Photo © copyright by Rob Greebon.